There’s Russian saying “You’ll live a year in a way you meet it”, so just in case I tried to get to my favourite country. Mostly to check how it’s in winter time. 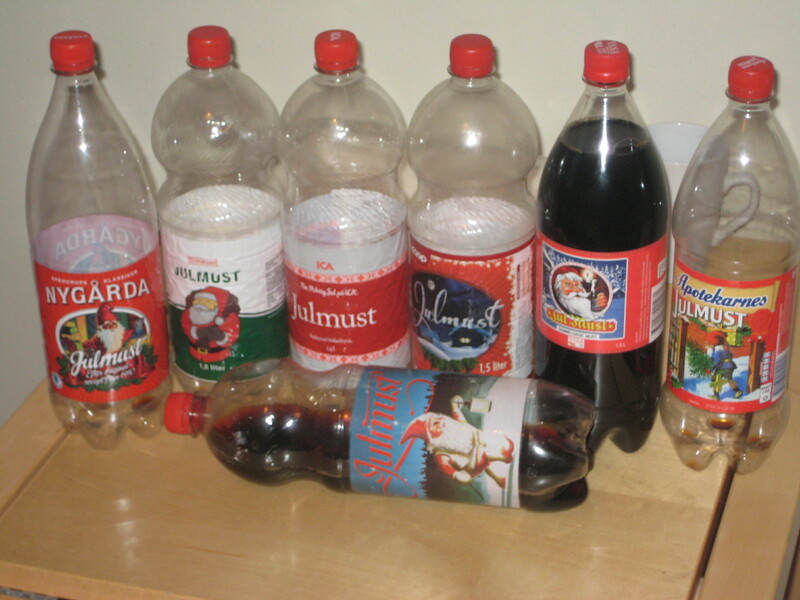 (those are different bottles, I’ve tried more few more kinds too). In addition to that I’ve tried few more drinks from certain brewery i Sundsvall. And I’ve finally tried Norrlands national drink in solid form. Somehow these trips always get full support from my stomach. P.S. Ost, inlagd sill, gravad lax, köttbullar och tunnbröd med julskinka är lagom bra. Och jag har älgkorv att prova. P.P.S. Trains there seem to be as punctual as in Germany. You are currently browsing the Kostya's Boring Codec World blog archives for January, 2011.